In 2016, Framer Framed started a collaboration with educational partner Face to Face. 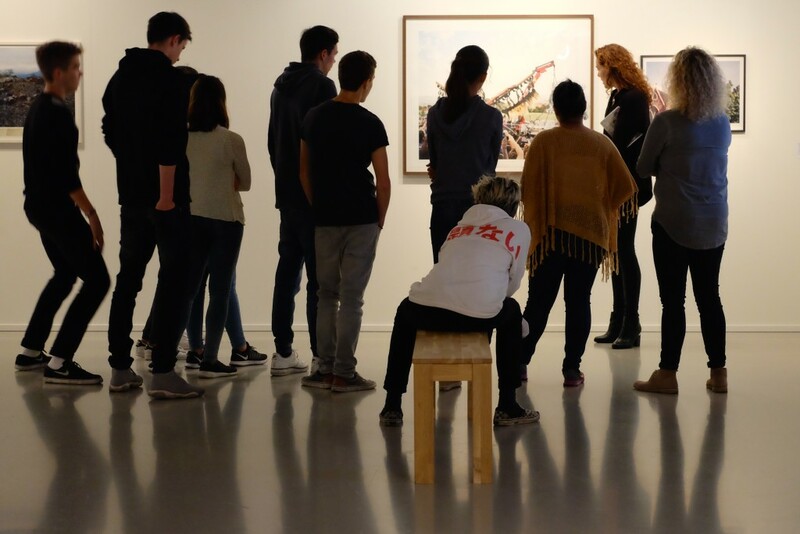 Face to Face connects youth from the Netherlands, Unites States and South Africa to produce a piece of art together that expresses their common past and their ideas about migration. The starting point of the project is the shared heritage between The Netherlands and its former colonies (in this case United States and South Africa) in the framework of migration. The topic ties into Framer Framed’s current exhibition on the shared colonial past between The Netherlands and South-Africa, Re(as)sisting Narratives (2016), curated by Chandra Frank. In the fall of 2016, students between 12-16 years old from Cape Town and New York City have been chatting online with Dutch students, exploring the meaning of migration during their shared past and nowadays. The students also visited museums in their own city and attended a master class about the history their country shares with the partnering countries. At Framer Framed, the students were given guided tours of Re(as)sisting Narratives. These encounters will ultimately translate into an art piece that shows the student’s personals backgrounds in connection with their ideas and beliefs. The outcome of the workshops will be exhibited in art spaces across all three continents. From November 18 until November 27, 2016 the artwork will be displayed at Framer Framed, in the Tolhuistuin foyer next to the main exhibition space.